Blog @ Kolegijum » To That or Not to Than? To That or Not to Than? Sa zvanične veb-prezentacije grada Novog Sada. I am that. And you are? 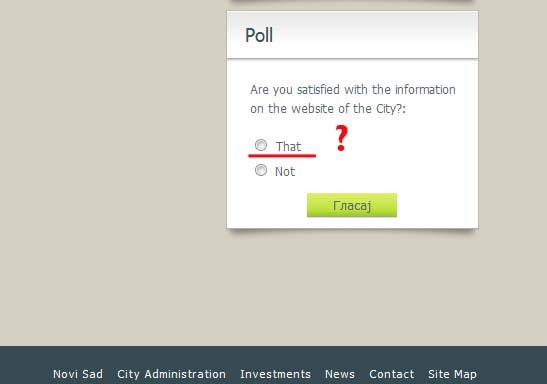 Go, гласај on the website of the City!